For thousands of graduating medical students, Match Day is a moment they will never forget. As part of the annual event, students gathered at medical schools throughout the nation last Friday and, at noon Eastern time, opened envelopes to reveal their “match” results—where they’ve been placed for their residencies. 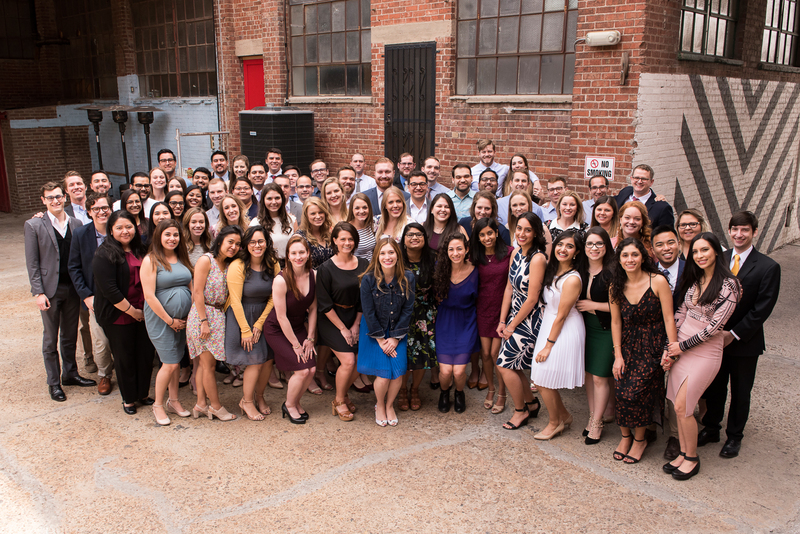 Among the hopefuls were 90 students from the Paul L. Foster School of Medicine (PLFSOM), part of the largest graduating class yet. On Friday, March 16, 90 students from the Paul L. Foster School of Medicine class of 2018 eagerly unveiled their match results. This year’s PLFSOM class applied to residency programs throughout the country. Their matches included prestigious institutions like George Washington University, Baylor University; the University of California Irvine, Texas A&M, and New York University. 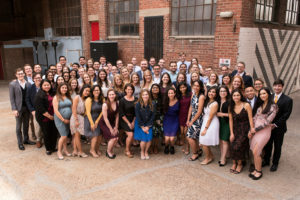 Of the students matched, over half will remain in Texas; two will serve the country through military matches; and four will continue their medical training right here at Texas Tech University Health Sciences Center El Paso (TTUHSC El Paso), serving the community where they first started on the path to becoming medical doctors. TTUHSC El Paso President and PLFSOM Dean Richard Lange, M.D., M.B.A., said Match Day is one of the most rewarding events to experience as an educator and administrator. “It’s right up there with the White Coat Ceremony and Commencement in terms of the pride and joy you feel for these students who’ve worked so hard to achieve their dreams,” said Dr. Lange. The match process is completed by the National Residency Matching Program (NRMP). The NRMP is a private, non-profit organization that has paired students with residency programs since 1952. The organization provides an orderly, efficient, and fair process in the matching preferences of both residency programs and applicants. Medical students are obligated to go to the institution to which they have been matched. 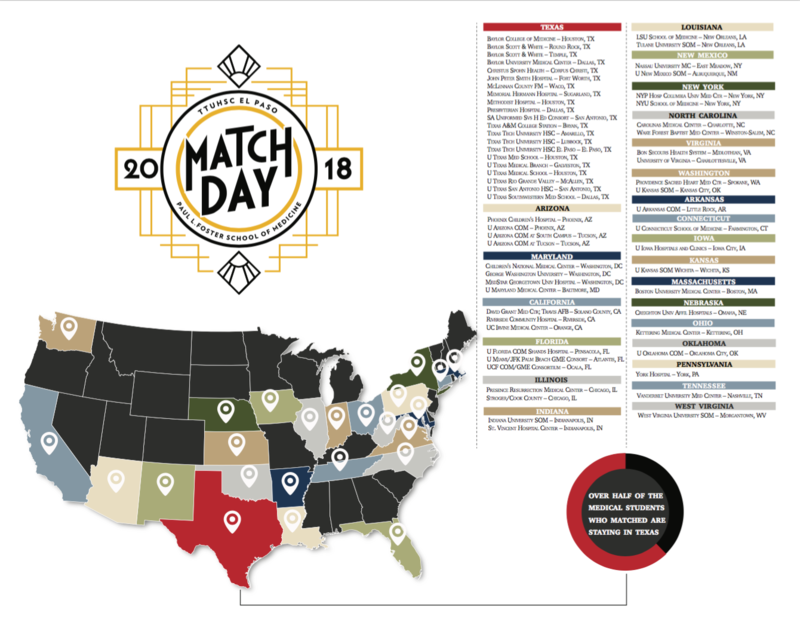 Match Day 2018 comes on the heels of TTUHSC El Paso’s five-year anniversary as a stand-alone institution; until 2013, the university operated as a regional campus of Texas Tech University Health Sciences Center in Lubbock, Texas. To date, TTUHSC El Paso has graduated 328 physicians. View a map of our class of 2018 PLFSOM students’ residency placements. For a complete photo gallery of Match Day 2018, visit TTUHSC El Paso’s Facebook page.